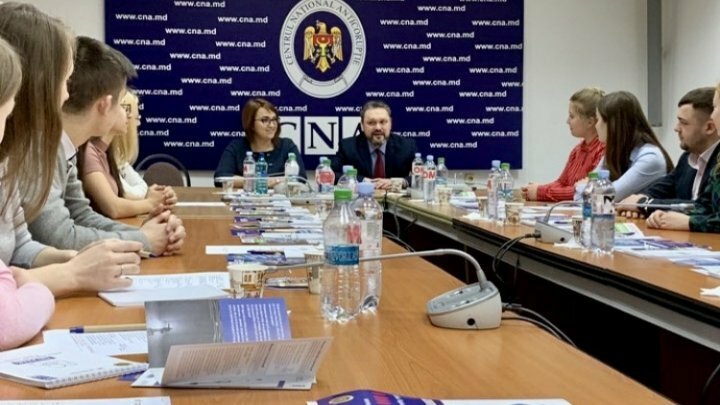 Sixteen volunteers of Anti-corruption National Center (ANC) from different localities in Moldova will promote anti-corruption message throughout our country's educational institutions. Supported by ANC and United Nations Development Programme (UNDP), they will elaborate communication platforms and ideas regarding fights against informal taxation, favoritism, counterfeit which trigger corruption in education. "I want everybody to reach a common idea to build an anti-corruption generation", said ANC director Bogdan Zumbreanu. With the support of UNDP project "Curbing corruption by sustainable integrity in the Republic of Moldova" financed by Norwegian External Affair Ministry, anti-corruption volunteers will join several activities to promote a academic integrity. The UNDP project is implemented in partnership with NAC and Ombudsperson’s Office.